Take charge of your career trajectory and build your business skills. This Associate Degree of Sports Business from the Australian College of Physical Education (ACPE) is designed to give you insight into the inner workings of the multi-million dollar sports industry. The course will teach you the ins and outs of running a sports business. In this 2-year course, you’ll cover all the core business capabilities necessary for success in the industry, including marketing, management and administration skills specifically for the sports environment. With a practical business focus, this course will help you develop leadership and management skills that can translate to any role in the sports industry, allowing you flexibility to choose a career path that interests you. Demonstration of good selection prospects for admission if ineligible for admission based on academic achievement. Alternate entry pathways may be available for applicants who do not meet any of the above criteria. Enquire now to find out more. Upon successful completion of this course, you will receive an Associate Degree of Sports Business from the Australian College of Physical Education. You'll be equipped with the skills and knowledge you need to start a career in sports business in a range of management, marketing and promotional roles. This qualification also offers graduates a pathway to ACPE's Bachelor of Sports Business (Leadership). 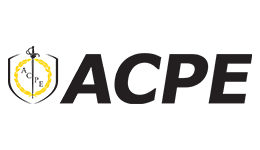 ACPE gives students the option to choose a payment plan in addition to the option of paying upfront. Eligible domestic students can apply for FEE-HELP loan to cover the upfront costs of all or part of their fees. Enquire now to find a payment option that works for you.